By leveraging local resources to build, operate and sustain Riecken libraries, the powerful Riecken Community Library Model greatly increases the impact that donor contributions provide. This in turn enables the libraries’ to develop into practical tools that encourage literacy, boost information access, cause communities to participate in their own development and empower youths to become leaders for sustainable change. They provide access to information to the poorest part of the population. 61% live on less than $100 per month, 26% live in homes with dirt floors, and 28% have fewer than six books at home. 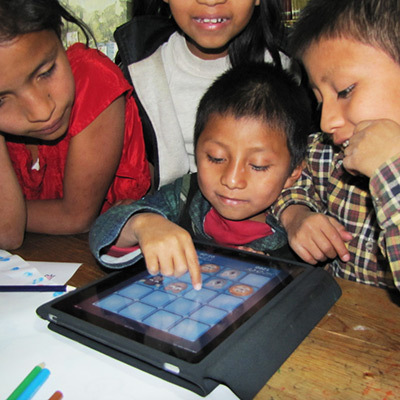 They contribute to improving schooling performance, with 79% of its users being students. Each library serves approximately 600 users per month, or 39,500 visitors per month across all libraries. They stand out among the three main sources of information in rural communities. They provide a safe, healthy, and trustworthy environment. They are valued by communities, enjoying trust and credibility. They constitute a volunteer movement with a high level of knowledge built around the operation of libraries. They contribute to strengthening civil society, promoting diverse initiatives and social activities.